Set in a rich, high-fantasy world inspired by ancient Rome, Sabaa Tahir's AN EMBER IN THE ASHES told the story of Laia, a slave fighting for her family, and Elias, a young soldier fighting for his freedom. 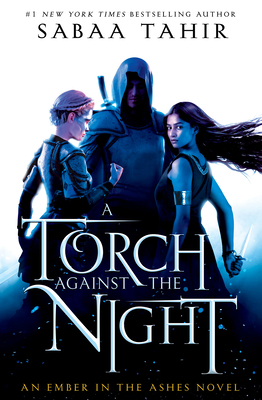 Now, in A TORCH AGAINST THE NIGHT, Elias and Laia are running for their lives. Laia is determined to break into Kauf—the Empire’s most secure and dangerous prison—to save her brother, who is the key to the Scholars' survival. And Elias is determined to help Laia succeed, even if it means giving up his last chance at freedom.